Tanzanian Gospel singer and Bongo Flava superstar Willy Paul has just linked up with the sensational Harmonize to cook up a blazing remix to Willy’s 2017 song “Pili Pili”. 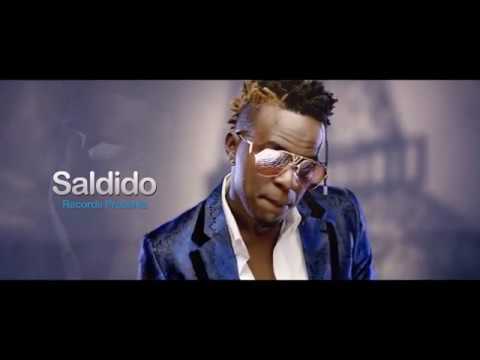 Easily one of Tanzania’s favourite recording artistes, Willy Paul has continued to keep ardent lovers of his music firmly hooked on his magic with his release of firecrackers such as “Malingo”, “Jigi Jigi”, “Fanya” and “Digiri”. 24 year old Harmonize is also making great waves for himself as a recording artiste, songwriter, dancer and all-round live performer. Since getting signed to Diamond Platnumz’ WCB Wasafi Records, the artiste whose real name is Rajab Abdul Kahali has continued to impress. 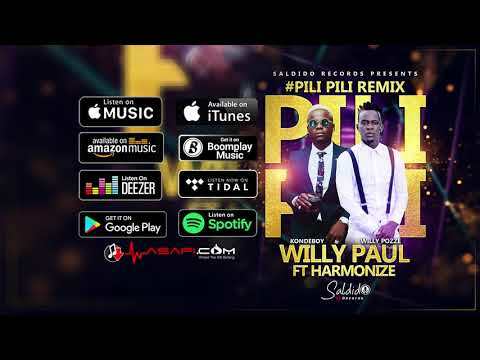 On this latest track of his, Willy Paul enlists the musical genius of Harmonize to whip up a fiery remix to his song “Pili Pili”. As anticipated, Willy Paul ensures that virtually everything we love from the original remains on the remix, while Harmonize takes things to a whole new level on this one. The music video for the joint was put together by Trued Pictures, and you can tell from the first few seconds that they do a fantastic job of it. Vibe with us to the remix of “Pili Pili” by simply streaming or downloading the scorching joint right away. Check out the spanking new music video while you’re at it, and don’t forget to share your thoughts about the song with us in the comments section below.